In the previous episode things weren’t looking great for Ray but with some quick thinking he managed to come out on top. It didn’t seem to leave many plot-lines for the finale to wrap up but the show always manages to surprise us and the finale was another masterpiece. The finale opened up following the events of last episode. After Paige (Katie Holmes) confessed the truth about her father Andrew Finney (Ian McShane) he was arrested for the murder of Varick. The fall of such a powerful man led to a media storm so Ray (Liev Schreiber) had Avi (Steven Bauer) bring Paige to his apartment so she could lie low. She wanted Ray to stay but he refused and headed home. He was surprised to find a quiet house with just his brother Terry (Eddie Marsan) at home. 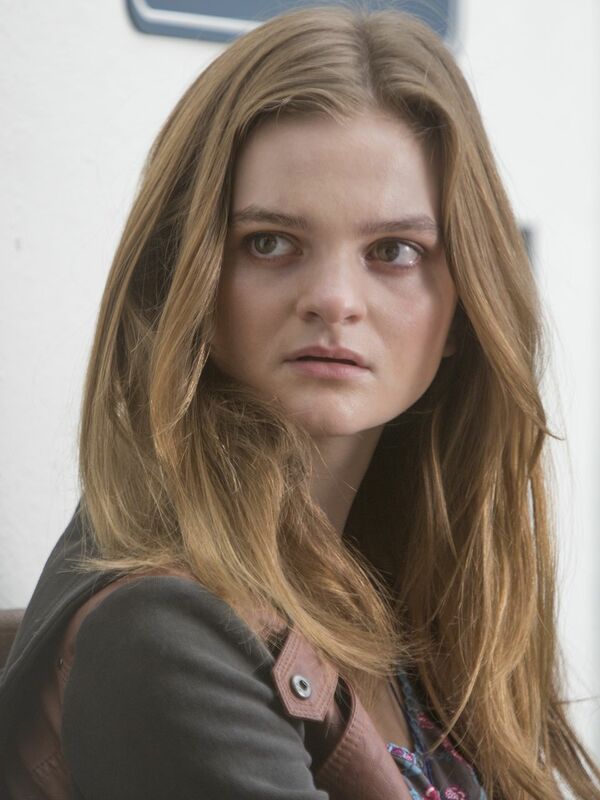 He explained that Abby (Paula Malcomson) was out looking for Bridget (Kerris Dorsey). Ray had been kept out of the loop about Bridget and Mr. Donellen (Aaron Staton) because everyone knew how he would react. Terry decided it was time to tell Ray what had been going on and Ray reacted like everyone had feared. He lashed out at Terry after suspecting something between him and Abby. Before things got out of hand Abby arrived home and calmed things down. A furious Ray left with the address of Mr. Donellen and headed straight there. While Ray broke into Mr. Donellen’s house everyone tried to track down Bridget who was avoiding their attempts to contact her. She was waiting at a motel in Santa Monica for Mr. Donellen to arrive. To try and calm everyone down Bridget decided to say she was with her grandfather Mickey (Jon Voight). Mickey however was enjoying himself with his prostitutes and they were all snorting crack together. Bridget called him to ask if he would lie for her but he said there was no point because Ray would just go straight to his. Terry arrived at Mickey’s first and was surprised to find that Bridget wasn’t there. As Ray also arrived he spotted some of the Minassians outside Mickey’s place with guns. He followed them in but was a little too late and found them peppering Mickey’s place with bullets. Ray returned fire and scared them off. 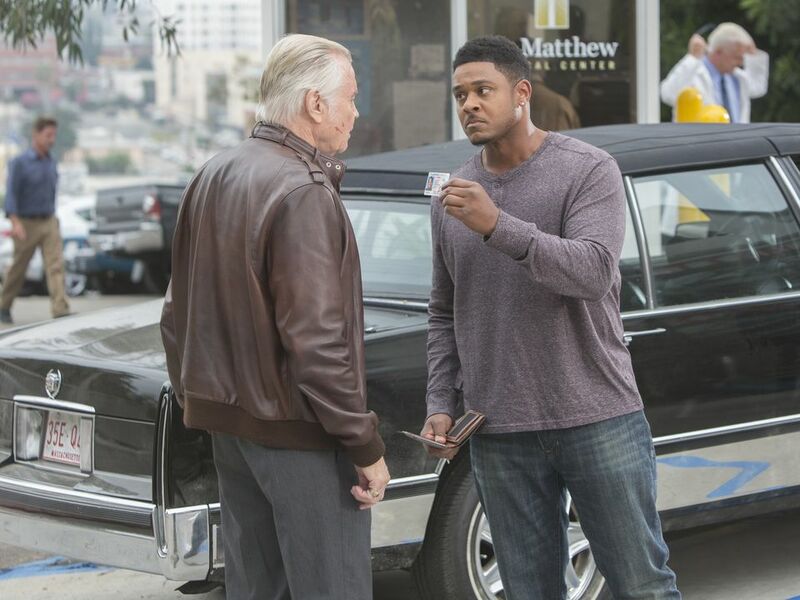 Inside he found Daryll (Pooch Hall) cradling the dead body of his girlfriend Michelle (Christy Williams). He also discovered that Terry had been shot and managed to get him to the ER with Mickey’s help. Terry asked Ray for a priest and Ray was told his brother would need transfusions during surgery due to massive blood loss. Mickey appealed to Ray to help ‘do something’ against the Minassians but Ray refused. So Mickey headed home and talked his way past police lines to get a gun that was concealed in his apartment. Ray decided enough was enough and armed himself to the teeth along with Avi before staking out the Minassian’s place. They eventually returned but before Ray and Avi could launch their assault Mickey showed up shooting. They rushed inside after Mickey to join in the fun. Mickey was pinned down but Ray and Avi were able to even the odds, Ray took a bullet to his side but they eventually killed everyone. Last was Mrs. Minassian who threatened Ray and all his family before Mickey slit her throat. Meanwhile Mr. Donellen arrived at the motel and he and Bridget went out for a walk. Bridget warned him of her father and he bought her a bracelet. They eventually went back to their room with alcohol and kissed. After Bridget removed her blouse Mr. Donellen broke down in tears after realising how much he missed his wife and asked her to put it back on. Lena (Katherine Moennig) managed to track Bridget down, via Mr. Donellen’s phone, to the motel. Ray turned up and gave him a severe beating before dragging Bridget off half dressed and screaming. Ray told her that Mr. Donellen had it coming. Ray then visited Terry in hospital. He was in a bad way but Ray told him that he was right earlier to confront him. Ray then headed off to see Father Romero. Desperate for Terry to be ok Ray gave confession and admitted to the killing of Father O’Conner. Ray broke down and Romero forgave his sins. Finally as he tried to leave Ray succumbed to the blood loss from his gunshot wound and collapsed. Romero drove him to hospital. While Ray was giving confession Abby sang to Terry. Eventually Terry arrested but the doctors managed to save him. When Terry finally came around Abby was waiting and he broke down in tears. Elsewhere Daryll told Mickey to leave and he obliged. Bridget was also seen packing her stuff and leaving home. The finale also featured Teresa (Alyssa) and Bunchy (Dash Mihok). After appearing happy recently she seems to be dominating him which sometimes come across as bullying but her treatment also seems to help him. She took him on a night hike to see the view of LA where she announced she is already pregnant with his baby. Bunch was overwhelmed but happy and a baby for the couple will be sure to bring new challenges for them in future episodes. 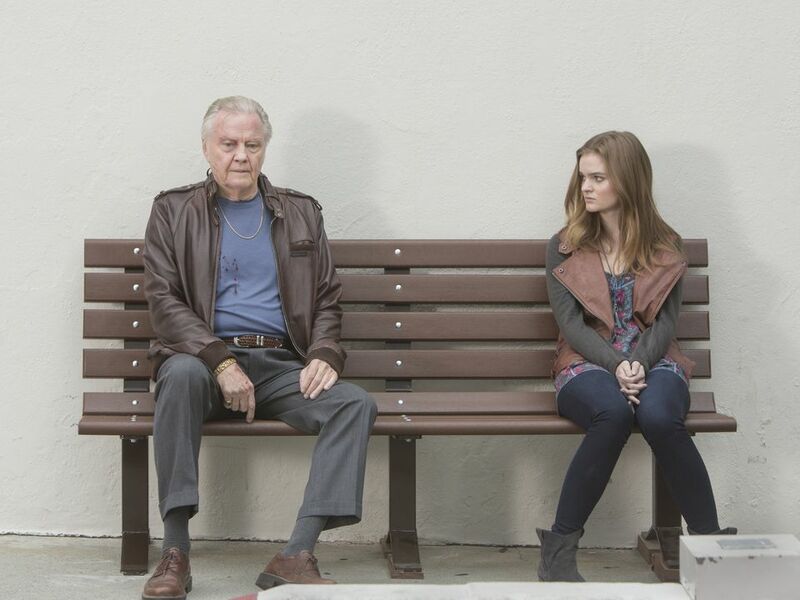 Overall it was another really strong season finale for Ray Donovan. There are plenty of plot threads seeding the action moving forward and it will be interesting to watch what happens. 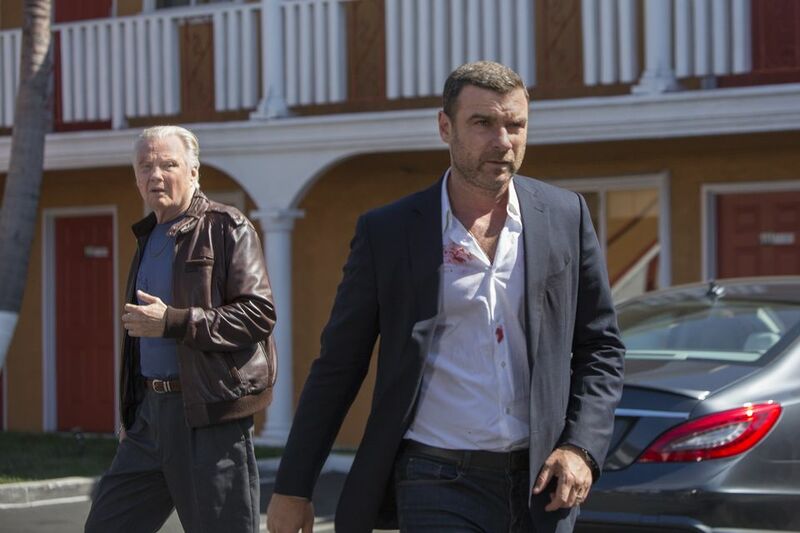 Ray Donovan returns for a fourth season in 2016.